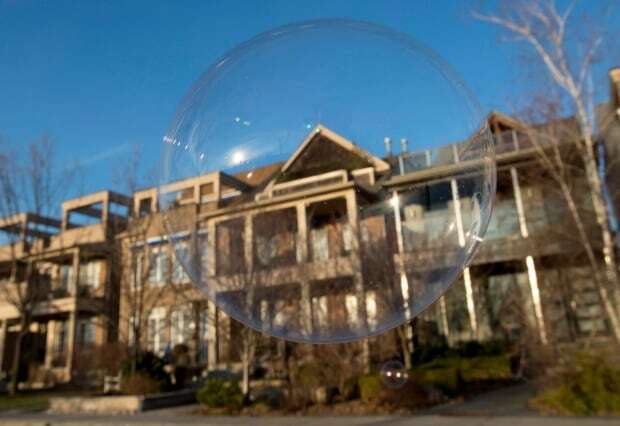 What if Canada's real estate bubble bursts? It's the question lingering behind every headline. It's whispered among homeowners, would-be buyers and sellers, economists and policy-makers. What actually happens if Canadian real estate prices crash? On the one hand, a crash might be good for some Canadians already priced out of the market. And even a dramatic 40 per cent drop in prices would set homeowners in markets like Toronto or Vancouver back, what, two or three years? But there are broader concerns for the market and the economy itself that could prove devastating. Home prices are notoriously off the charts. Everyone from the governor of the Bank of Canada to the chatty guy in your local cafe has said, repeatedly, that this increase in prices is not sustainable. But what that means, precisely, is vague. 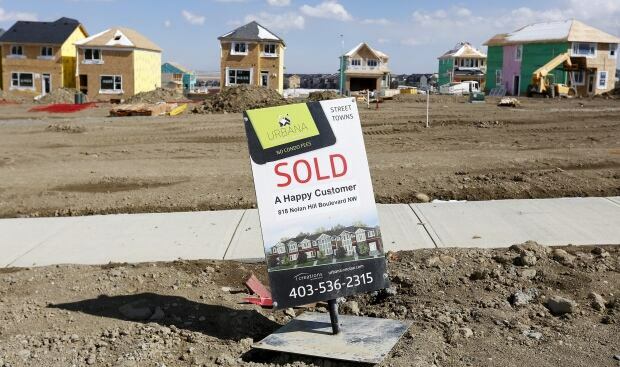 The latest numbers from the Canadian Real Estate Association show the average home price in Canada climbed by 10 per cent to $559,317 in April. Notably, the number of sales in Toronto's red-hot market fell by almost seven per cent but prices continued to rise. No one is saying the end is nigh. Most are still banking on that ambiguous "soft landing" policy-makers have talked about for years. But, for the sake of argument and for a better understanding of the risks, let's talk about what a real crash would look like. First of all, what is a real crash? Think Toronto in 1989. Prices fell off a cliff. The average cost of a home in Toronto hit a whopping $273,698, a 30-year high. Then the bottom fell out. Like then, some owners would be largely unaffected by a crash today. Someone who isn't going to move and has a lot of equity in the house would be set back, but given the enormous increase in house prices (33 per cent in 2016), they would have something of a cushion. But housing isn't just about prices. And that's never more evident than during a downturn. "I think the most important thing is the impact on the composition of economic growth," says Karl Schamotta, director at Cambridge Global Payments. 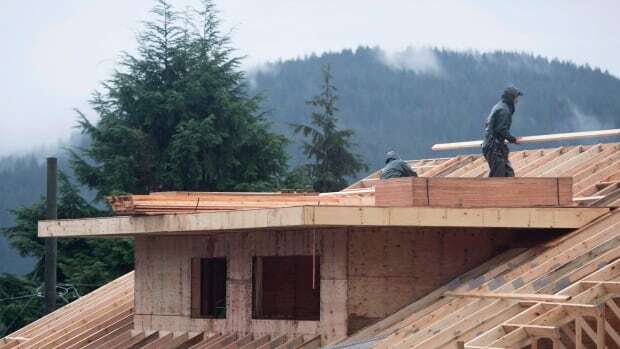 He says for 17 years, Canadian real estate, retail finance and construction sectors have significantly outpaced the rest of the economy. That cycle has fed on itself. "Rising loan volumes and attractive spreads have bolstered the finance sector. Driven by more lending, home prices have risen, allowing households to borrow more money and spend more in the retail sector," says Schamotta. Were that cycle to stop or suddenly slow, the impact would stretch far beyond Toronto's overheated housing circus. Joblessness would spike, and it would be made worse by people's reluctance to move for work because they are tied to monster mortgages for homes worth less than they paid, Schamotta says. That would be bad for productivity, but it would also make Canada's entire economy less able to react to global changes. And the loonie would likely fall, too, hurting imports while boosting exports. And even those homeowners who have equity in their homes and don't plan on leaving wouldn't be immune. The wealth effect is an economic theory that for every increase in wealth there's a disproportionate increase in spending. In housing terms, that means that for every one per cent increase in prices, we usually see spending go up about five per cent. Tal says the reverse is also true, that for every one per cent fall in prices, people spend disproportionately less. Based on this theory, it's not hard to see why a double-digit correction in prices could cascade through other parts of the economy, "and that can feed on itself," says Tal. On the upside, just about everyone agrees that nightmare scenario is still unlikely. Prices are slowing in Toronto and Vancouver. And Tal says one big difference between today's situation and the U.S. housing crash is that everyone in this country is trying to slow down the market. "It's banks, even developers, clearly policy-makers. You don't have the situation where banks are seeing green and trying to maximize profits. In fact they are really trying to slow it down. Regulators are trying to slow it down and more is coming."